"I want to say this about my state: When Strom Thurmond ran for president, we voted for him. We're proud of it. And if the rest of the country had of followed our lead we wouldn't of had all these problems over all these years, either." In 1948, most black Mississippians were second-class citizens not allowed to vote. Disproportionate numbers of our citizens ---- both black and white --- lived in poverty. Such was the situation when Strom Thurmond ran for President as a conservative segregationist. Since 1948, Mississippi has made tremendous progress. But, we still have a long way to go. Senator Lott recognizes neither the fact of our past nor our need to work toward a positive future for all our citizens. Trent Lott's comments do not reflect the views of most Mississippians. 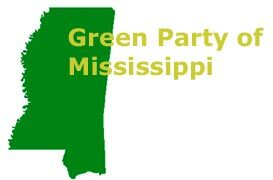 While a few individuals and organizations would like to exploit racist undercurrents and fear of change for their political benefit, most Mississippians are committed to a better future, one in which all our citizens enjoy the same rights, privileges, and opportunities.